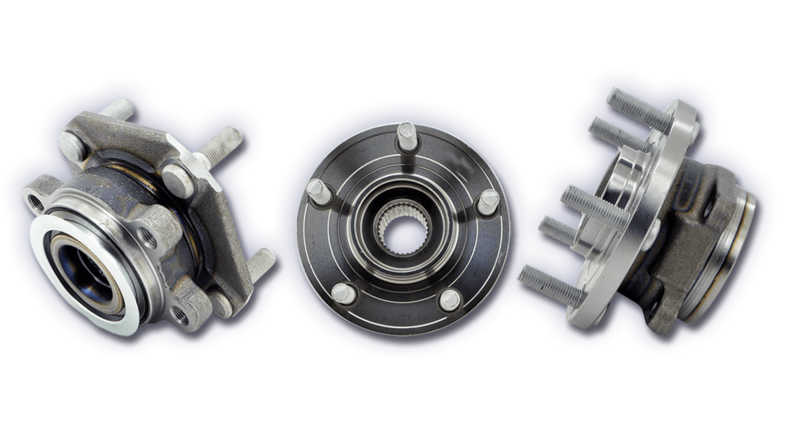 An important component of your vehicle’s drive and suspension system is the wheel hub. This component attaches the wheel of your car to the vehicle’s suspension and steering system. This component is where the wheel lug nuts bolt up. The part does more than just hold the wheel on the car. For example, if your wheel came flying off the car one could argue that would be bad. So the part has to be able to withstand grueling punishment. Having said that you do need to check on this part periodically. 2. Striking a pot hole super hard. 3. Any type of forceful impact the wheel may encounter. A physical inspection of the hub is a great safety precaution. If you’re not sure what you looking for you may want to have your local mechanic take a look. Stress fractures or other damage could create real problems for your driveability. One of the most common noises is a simple clicking noise coming from the wheel area. It will most often become louder or more pronounced at speed. This could also indicate the wheel hub bearing is damaged or failing. The steering wheel having lots of play or a loose feeling. This will strongly indicate that the hub or bearing is failing. The danger here is your car road walking, which means the vehicle moves as though you’ve turned the wheel but have not. It’s slight but can get your attention when driving. A roaring type noise that is different from a clicking sound. This too can be the wheel bearing which normally is the case. Any of these signs indicate you have trouble brewing. None of us like car troubles, but much better to take a look at potential problems. It’s so much less expensive to replace one part than several parts because the original failure caused more issues. Another thing to remember is when changing tires or putting on new tires. Many shops will over torque a wheel to the hub. Check with your manufacturer service department for the proper foot pounds of torque is required to keep your wheel safely on the hub. When a shop over-torques the wheel you can add additional stress to the lug bolts. Having it as tight as possible is not the thing to do. Each lug torqued to the proper setting will allow your wheels to function as they should safely. Ask your mechanic before they change a wheel what torque setting they will use. If they don’t know then make sure they don’t just take an air wrench and over torque your wheel. It would be a good idea to ask them before they do all the work. Proper care and maintenance will add life to your vehicle and many miles of safe motoring! Tags: aftermarket, autoenginemounts, Autoparts, car care, wheel hub.